I got a bit stuck trying to begin writing this blog; I didn’t really know what to write. In some ways this was one of the best trips I’ve been on, in other ways it was challenging and frustrating at times. Great thing no.1: I climbed my first V13. 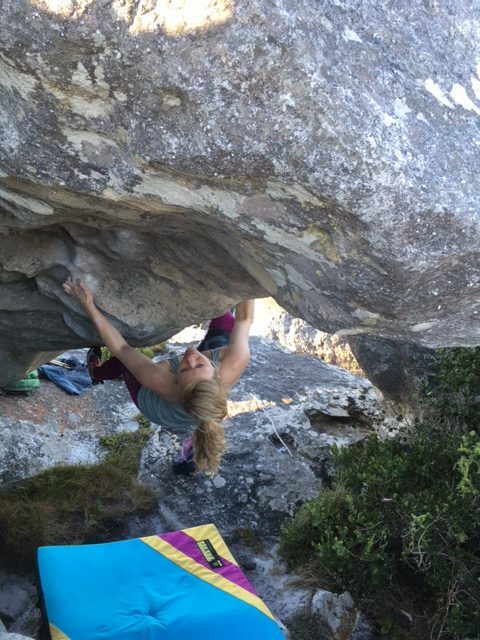 As I wrote in my posts on social media at the time, The Pursuit of Happiness has had some mixed views on its grade, with some supporting the original V13 and some suggesting V12. I couldn’t do it on a previous trip and could do it this time so whatever the number I am really psyched. My suspicion is that if we were to add decimals it would be V13.1, but that is perfect, the first foray into a new grade boundary is always at the lower end and I’m happy with that. Setting aside grade chat, the boulder is incredible, pictures and video really don’t do this one justice! A proud line, beautiful holds and try-hard compression all the way. Loved it. This happened in our first week and I also managed to send Ard Ay (V12) the next day, another one left form a previous trip. All was going well and I was psyched to head to Rocklands to re-visit some old demons. 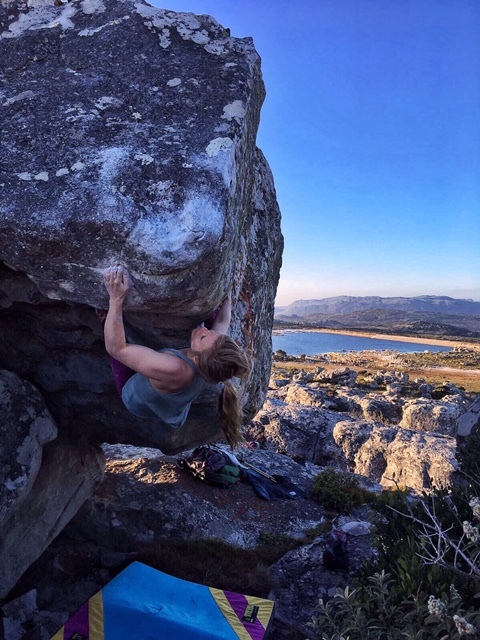 Ard Ay (V12), Cape Town from mina leslie-wujastyk on Vimeo. Challenging thing no.1: What I didn’t mention about this first week was that David and I both got ill… We still aren’t 100% sure what it was but all suspicions point to drinking bad water in Cape Town. We have drunk the tap water there in the past with no issues but with the country in a current drought situation this perhaps wasn’t the wisest decision. On the bright side, it was only diarrhoea, we didn’t have a fever or nausea or anything like that so we continued to go climbing! To begin with we didn’t feel that bad (I actually did Pursuit on day 3 of being unwell) but as you can imagine, we eventually started to get really tired as our bodies were not holding onto anything for long. It went on for 5 days for me, 10 in total for David who ended up needing antibiotics (amazingly the first course of antibiotics he has EVER taken!). So the Rocklands section of our trip started off a bit shaky and, although we had a blast, the climbing parts didn’t really go to plan. Challenging thing no.2: David and I were in a similar boat in Rocklands, we have both done a lot of the classics within our comfort zone of difficulty and were both hoping to be able to up our level. For me, there are loads of V13s to try and in particular I wanted to try again on The Vice. Despite feeling fine for the first few days of being ill, it took its toll and we were both struggling. 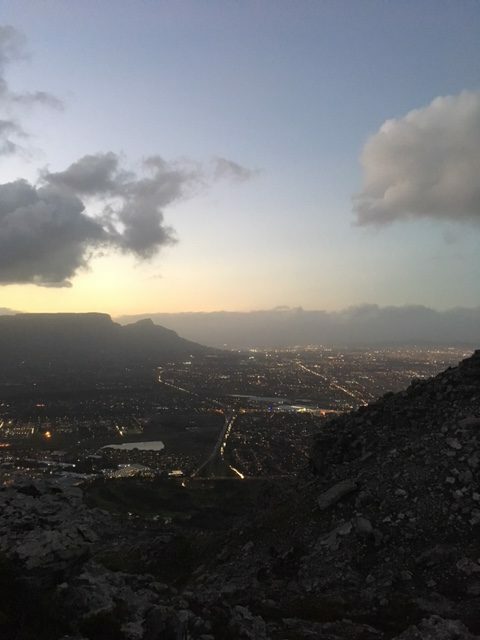 I also really wrecked my skin in Cape Town – I’m usually one of those annoying people that always has amazing skin so this was a whole new experience for me and I can see why people find it so frustrating! I only had two sessions on The Vice before my motivation ebbed away. I was actually better on it than in the past but a combination of lack of energy, skin and waning psyche eventually meant that I walked away to try other things. It actually didn’t feel sad though, I felt really okay about it and was able to go and enjoy climbing on slightly easier problems. Great thing no. 2: People!! It’s easy to think that climbing trips are all about climbing but they really aren’t. They are also about the people that you climb and hang out with in all the other moments. This was awesome. David and I went on this trip with two close friends, Tom and Michelle and we had a blast. Between us four, Carol and Jess and Jimmy and Hannah, we took braais (BBQs) to a whole new level of feasting. From great climbing days to morning chats over tea to epic BBQs and long hikes together, these are the moments we cherish. Challenging thing no. 3: Injury. 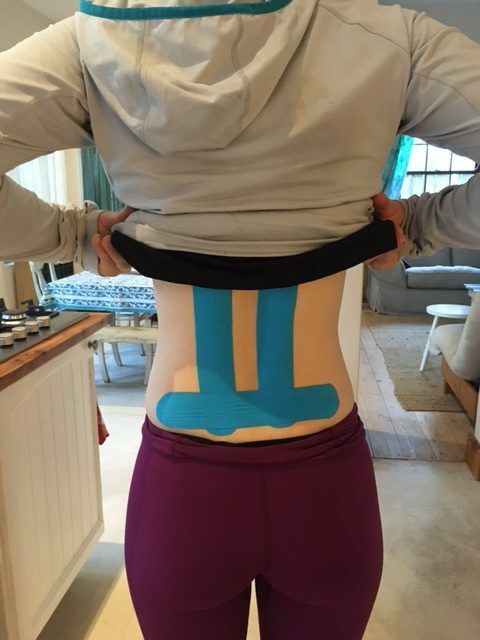 I have never really thought of my lower back as an injury because it has been an issue on and off for so long and I manage it well most of the time. It’s very much chronic rather than acute and usually doesn’t hold me back that much. Luckily for me, it doesn’t hurt to climb; in fact climbing often makes it feel better. It’s the walking uphill with a heavy pad or rucksack that gets it. So much so that I avoid trips to crags with notoriously steep walk ins. It’s sad really, for example, I would love to go back to Ceuse but I’m fearful of the implications the walk in would have for pain and function. 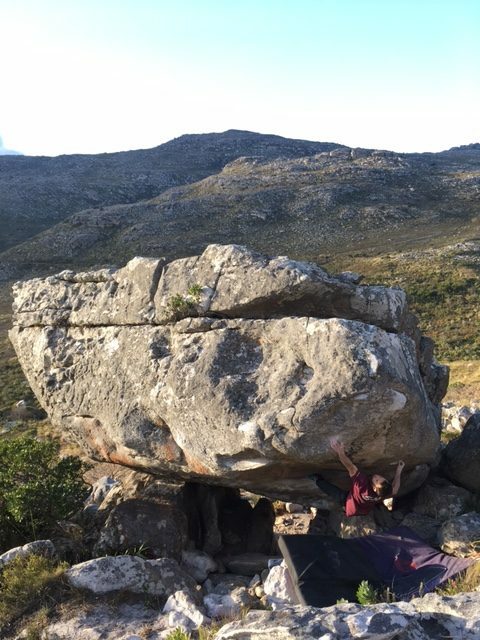 Some days in South Africa I would get to the boulders and cry, nerve pain reaching my foot. I would have to spend time stretching and moving to release the spasms before I could think about climbing. It was particularly challenging on this trip for some reason, which I wasn’t expecting. On a positive note, it has spurred me on to tackle the issue from more angles now I’m home. I was having treatment before which was really helping (I think being ill knocked my whole system and then walking tired is probably the worst idea!) but I now have more ideas on how to complement that treatment. Great thing no. 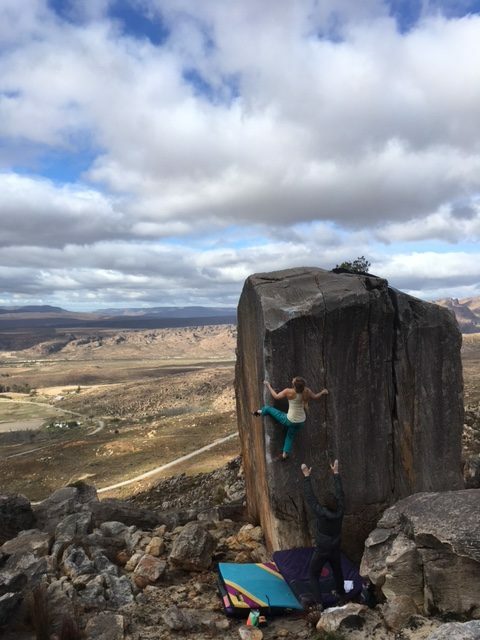 3: Spending more time climbing in Cape Town. I love the rock on the peninsula; it is really fun to climb on. For sure, there is not as much as in Rocklands but there is still room for loads of development and the rock quality is incredible. 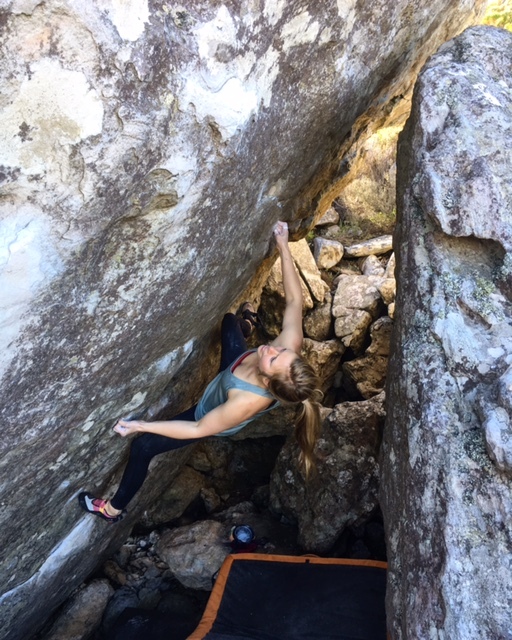 We ended up leaving Rocklands earlier than planned to spend our last ten days back there and it was great; David sent Simple Knowing (V14) and I was able to put more time into Artform (V12) which was so fun even though I didn’t quite pull it out of the bag in time to go home. So, I think that covers it….the trip flew by and it honestly feels a bit strange to be home. We had an amazing time, both climbed things at our limit and you can’t ask for much more than that. 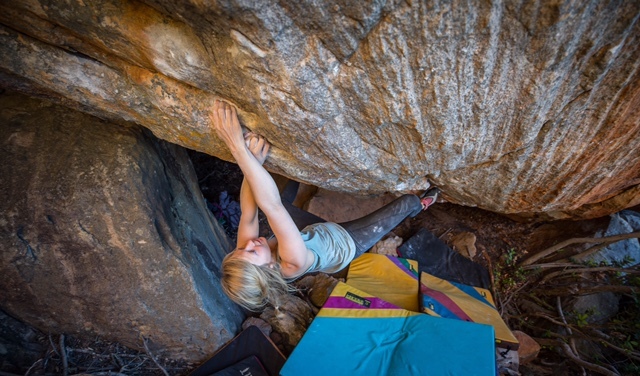 Bouldering for 5 weeks has left me pretty psyched to tie on…..anyone keen for Kilnsey? ?